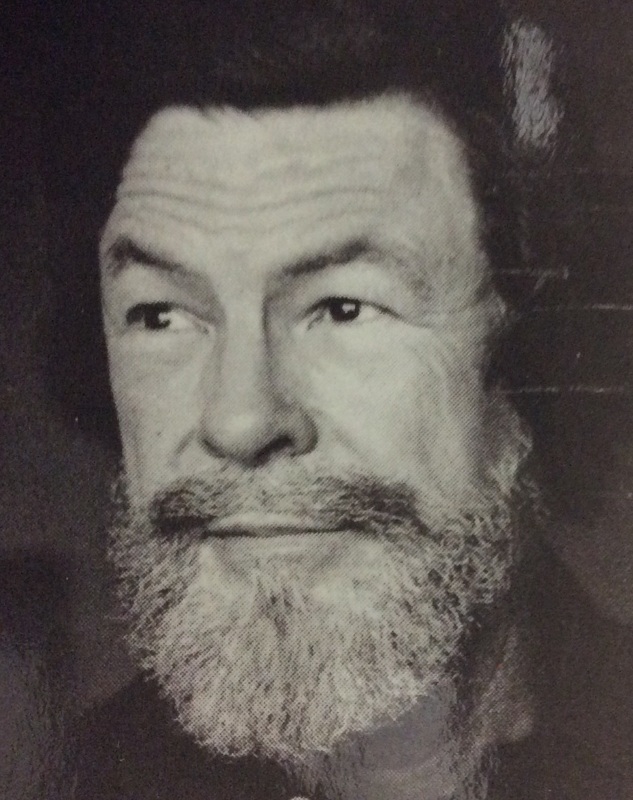 Dr. Herbert Leon Newbold as pictured on the dust jacket of one of his books. Dr. H. L. Newbold was the first place I encounter the idea of an all-meat diet. He published a number of books throughout his career, but his last one The Type A / Type B Weight Loss Book published in 1991 is by far his best overall book on diet. It represents the culmination of everything he had learned about health and nutrition up to that point in time. He practiced orthomolecular medicine and was a colleague of Linus Pauling, as well as Dr. Robert Atkins. He also worked with and was greatly influenced by Dr. Theron Randolph whose work is described in his excellent book An Alternative Approach to Allergies. Dr. Newbold’s private practice was located in New York City. His untimely death in 1993 at the age of 72 was apparently caused by an anaphylactic reaction to an antibiotic he received in the hospital while being treated for some type of infection. I have no idea what happened to his patient’s medical records, but I would love to get my hands on them. He presents some fascinating case histories in the above mentioned book, and I imagine he had many more like them that could not be included in that small volume. Dr. Newbold worked extensively with people who suffered with obesity and eating disorders. He found that many of his patients were able to lose weight and stop destructive eating behavior if they ate an all-meat diet comprised almost entirely of beef. He allowed other meats as well, but – over the years – he discovered that the majority of his patients thrived on fatty ribeye steaks. Unlike Atkins, he does not single out the macronutrient carbohydrate as being the main culprit in his patients’ eating and weight problem. Rather, Dr. Newbold takes a step back and points to what he called “new foods” in the human diet, i.e. foods such as grains and sugar as well as dairy and eggs. He felt that some people were genetically less well-equipped to handle these kinds of foods. Yes, many of these foods were high in carbohydrates, but he felt that the bigger issue was that people could become allergic to them. He explains that when a person is allergic to a food, it not only becomes addictive, but it also causes weight gain by interfering with proper hunger signaling and causing the allergic person to develop disordered eating. People with “Type A” obesity – when triggered by an allergic food or chemical – would spree eat or binge on anything sweet they could find, while people with “Type B” obesity – when triggered by an allergic food or chemical – would have to eat a certain sweet food at regular intervals in order to feel satisfied and to avoid “withdrawal” symptoms. He noticed that the trigger foods were always from the category of what he labeled as food new to the human diet. In other words, people don’t eat a steak and then feel like bingeing on cake and ice cream. Most people in his experience were not allergic to beef, or meats in general, and could eat them without having their appetite signalling go haywire. But for someone who is allergic to wheat eating one cookie can send them on an eating spree that would put the Cookie Monster to shame (Type A). Or, someone may find that they must have their cookie fix at least once every day in order to feel okay (Type B). In addition to “new foods,” Dr. Newbold also found many people had allergic hunger that was triggered by environmental factors such as pet dander, pesticide sprays, copy paper ink, perfumes, gas pilots lights, florescent lighting, tobacco smoke, lipstick, and many other similar things. So, if you are trying to follow an all meat, or Zero Carb, diet and find yourself continually getting derailed by cravings, you may find Dr. Newbold’s book to be extremely helpful. Since an Zero Carb diet eliminates all foods derived from plants, it can go a long way in helping a person to overcome cravings for sugar-rich foods. But Dr. Newbold also found that even some of the ‘”newer” animal foods we eat – namely, eggs and dairy – can also be incredibly problematic for some people. He has a case history of one young woman who was addicted to milk. She drank gallons of it every day. However, the damage caused by her addiction to milk went far beyond her weight. Not only was she quite obese, but she was also mentally impaired. She was still living at home with her parents and was unable to function normally in the world. Once Dr. Newbold got her off the milk, she went on to live a very happy and satisfying life. It is my opinion that Dr. Newbold was one of the great medical minds of the last century. It is unfortunate that his accumulated knowledge was never given a very broad audience. All of his books are now out of print and must be obtained from used book sellers. (See link below for a free PDF version that created to share here.) It is my hope that his work will one day be brought out of obscurity and examined more closely in the light of modern research. In the same way that Dr. Jeff Volek resurrected Dr. Stephen Phinney’s Low Carbohydrate research and brought him out of retirement, Dr. Newbold needs an advocate who recognizes what a brilliant mind he was. 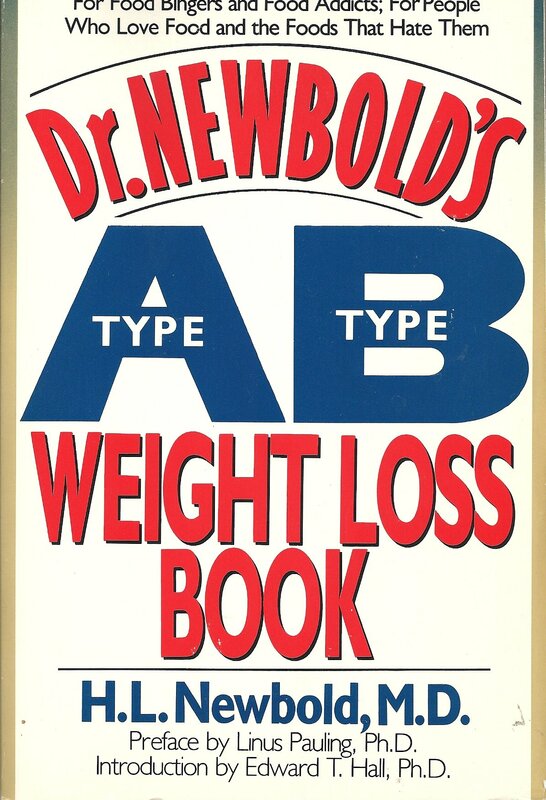 The Type A / Type B Weight Loss Book should definitely be included on the list of essential reading by anyone who wishes to eat an all meat diet. like like like!!!!!! You pointed out this book to me in December and it has been such an eye opener to me… found one answer after the other – and I can assure you I had been reading dozens of books on this subject! What concerns me a little bit is that H.L. Newbold died from lymphoma. Stanley Owsley also died from cancer. And both men had heart disease. I spoke with the pharmacist Dr. Newbold used in his medical practice shortly after he died. He told me what I wrote in the post, anaphylactic reaction to antibiotic. I have never been able to verify what happened beyond this. It is impossible to say what exactly happened. However, yes, he did have a heart attack (which he discusses in his book) and that is what prompted him to change his diet and gave him another 20-30 good years. Like anything else, though, it is impossible to know all the facts unless you knew him personally. How much stress did he experience, etc.? It is also important to keep in mind that that he was extremely sensitive to just about everything, both foods and chemicals, so it is not like he was a perfectly healthy person who took up an all meat diet. He went to an all meat diet because that is what worked best for his body. He also found that an all meat diet worked best for many of his sick and overweight patients. To really understand him, it is necessary to read his book. Stanley Owsley did not die from cancer. He died from a car accident. His cancer was caused by a chronic infection in his tonsil due to scar tissue build up and improper drainage. It is also important to remember that Owsley used a lot of LSD during his life and lived a stressful life on the road managing the sound system for the Grateful Dead concerts. Again, it is impossible to know all the facts. I consider both of these men to be pioneers, but neither of them were perfect nor infallible. Take what works for you, and leave the rest. True enough for me to grasp. I too am a child of the Sixties and I expect that that experience will kinda hinder any rejuvenation benefits of all meat. Heck, I was surprised when I hit 25 years old, so to be in my sixties now is all gravy. I will never be able to express my gratitude enough. This concept along with Fat of the Land and the No Tweaking is really starting to fully sink in. Finally! I’d rather die at 70-80 of cancer or whatever, then live the next 30-40 years of my life on powerful anti-depressant and bipolar meds, which all meat has enabled me to drop!!! Not that I have to choose, or want cancer. But I recognize that I have to die of something and I’d rather be vibrantly healthy, happy, and energetic up to that point than live with low level chronic illness and degeneration, and mental instability that requires major pharmaceutical intervention for the rest my life… That being said I don’t know if I’ve seen many people try all meat “just because”… They’re usually dealing with medical issues or want to seriously improve their health. I feel the same way, Marty–thanks for expressing it so well. I’m still new to all meat, but am trying to learn fast. I realize it’s simple: just eat meat and drink water, but I always need to fully understand why I’m doing something for it to work. So far, the result in just a couple of weeks have given me a lot of hope thanks to all in the carnivore/zero carb community. I no longer have a FB account, so I won’t be joining the groups on there, but there are some on Twitter/Instagram and on sites like Esmee’s that I’ve learned from and am so grateful for. A Ketogenic diet is very healing for the brain and has been used to treat epilepsy in children. You may want to be more exact in your fat to protein ratio and target for 80% fat by calories. I enjoyed being on a ketogenic diet the last few years, but my body has made it clear that I need to eliminate all plant-based foods. I eat plenty of fatty beef every day and have already found many symptoms going away and my skin is clearing (my most pronounced reaction to plant-based foods was an outbreak of pustules on my face–hard to ignore.) I find the carnivore diet is simple and straightforward and I really like it except that my sleep is worse now than before I started. I can’t figure out why as my life is finally at a point where the stress is very low and I have every reason to sleep soundly at night. I get a good walk in the mornings so that my circadian rhythms stay aligned, I observe good sleep hygiene every evening; I just can’t seem to sleep longer than approx. 4 hours…sometimes 3, sometimes 4.5-5. It’s frustrating, but I’m trying very hard to stay calm about it. How long have you been zero carb now? How much salt do you consume per day? I’ve been zero carb for just a little over 2 weeks. I liberally salt my meat and I eat twice a day, usually. Why, do you think some people take longer to get a proper sleep when switching from keto to zero? I’m hoping that’s all it is, but it gets discouraging when I read other people’s accounts and they seem thrilled with their sleep as a carnivore. Even when I was keto and tried to adopt a once-a-day eating plan so that I might take advantage of intermittent fasting, it didn’t work out. I would eat my one meal at about 1 pm and I’d feel fine going to bed, but would wake up 90 minutes later every time. I simply could not get more than 1.5 hours at that time, so I suspect my cortisol levels (or something) must have freaked out. I had to give it up because waiting to eat just once a day at 6 or 7 pm just seemed too long and I didn’t feel it was right to endure hunger for many hours if I could help it. I’m not saying there’s anything wrong with OMAD or IF, but I think I do better when I simply eat when hungry and stop when satiated..
I’ve eaten one meal of fatty beef once a day in the evening for 3.5 years and it works great for me. It quickly becomes easy to wait to eat until dinner, but there is a short adaption period as your body readjusts. However, you are still adapting to ZC at only 2 weeks. I would tey to be patient and give it more time. Everyone’s adaptation experience is different, even those coming from keto. You may be consuming too much salt, but it’s hard to say because I don’t know the exact amount you are consuming. (Almost) every writer somehow connected to an all-meat diet seems to link its benefits to overweight people – what about skinny people ? The reason I ask is because this diet does seem to work perfectly for the overweight but does it benefit people who aren’t ? I am thin and always was – the reason I want to try this diet is because of certain health problems I have but obesity/insulin resistance isn’t one of them. I remember Dr. Atkins wrote this diet will benefit most people but not everyone – do you know what he meant ? I also want to thank you for this wonderful website – the information is priceless – thank you for putting all of this online. Just burning the pilot light on our gas heater (even though the heater is vented to the outside) will start me flying stupid after about three days no matter what my diet is. Jet fuel during travel has much the same effect. From where I sit, there is much to be learned about the immune system. Thank you so much for taking the times to share your experience with Dr. Newbold, Linda. It is deeply appreciated. Yes Linda, thank you SO much!!!! That is really interesting. In the “Breaking the Vicious Cycle” Elaine Gottschall she too cites an example of severe mental health problems being solved by removing all wheat/grain. She links it to the bacteria though, and says starving the bad bacteria, so they stop making toxins in your gut, by avoiding all complex carbohydrates (most sugar, grains, starchy vegetables) is the solution. She also explains that proteins and fats are the easiest for many people with intestinal problems to digest. She also quotes a few scientists (I think 1-2 hundred years ago) writing that mental health begins in the gut, and all schizophrenic patients also exhibit digestion problems. I believe Dr. Elson Haas has written about the allergy/addiction cycle in his book The False Fat Diet…unfortunately his dietary advice is not helpful…but the other information is similar to what I’ve read so far in Dr. Newbold’s book. I have no health issues. I have been studying health for 40 years. I did low carb, low fat (Patrick Holford) for 20 years but it bothered me that I still got colds and flu once, twice a year. Eventually I heard of LCHF and did it for 2 years, never once getting sick. Eventually I evolved into very, very low carb and then decided to hold my breath and go carnivore. I was so brainwashed that vegetables was the best thing for health that it was hard to stop eating it. (Let alone humiliating to tell my children that I no longer eat vegetables!) I find your articles fascinating and I love reading about other people’s experiences, Since I was never sick or overweight I do not know if I’m doing the right thing but I have such a feeling of well being on meat that I am amazed. Thank you for the article on dr Newbold. I have followed the orthomolecular doctors for years and have not heard of him. You gave me a lot of new information. Thank you for your comment. Kudos to you for gradually figuring out what works best for your body. Newbold was a brilliant man and wrote a number of interesting books. It is a real shame that he has been largely forgotten. Thank you for your site, your wealth of information and your generous heart to share with us. Godspeed all our journeys to optimum health! I had the amazing good fortune to get really sick in the 70’s so I was finally referred to Dr. Newbold. I will write more later about him. A brilliant “rebel” at the time….so thankful. Please please do! I would love to hear about your experience with him. When you are adapting, you temporarily lose a lot of sodium and this can cause insomnia. However, too little fat can also cause insomnia. I found some info to support that about the salt. I have not looked for info about “too little fat can cause insomnia “; I believe you but can you please give any broad or general probable physiologic reasons or things that are likely happening to make that so (yes I’m being lazy, but you likely have done the work already & broad concepts/probable theories is all I’m after- those & listening to my body should be enough to get me where I’m trying to be). I happen to me tweaking my salt + potassium + fat:protein ratio for the past few weeks after reading many articles here. So far very helpful; but I can tell I’m not optimal. I can share my findings, history etc & that may make your comments more targeted to me, but I should try to apply the broad principles first & see what happens before I burden you. I don’t have any scientific references for you regarding fat and sleep. I simply speak from my own experience. However, it may have to do with roo mich protein causing the hormone glucagon to rise which may increase alertness. I remember reading about this in the book Enter the Zone by Dr. Barry Sears many years ago. Greetings from Germany Esmee, I just wanted to write to tell you how much I am enjoying your very informative and well written site. A lot of love went into this! Thank you, Grace. God bless your journey.